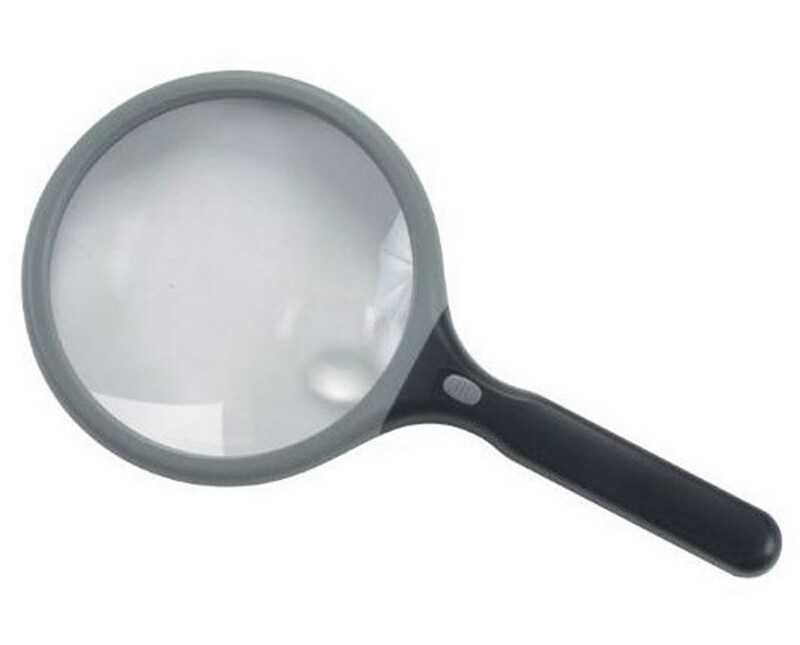 The UltraOptix 2x/6x Lighted Magnifier is a useful magnifying glass with its extra large viewing area that measures five inches in diameter. It features two times power lens and six times power bifocal insert. 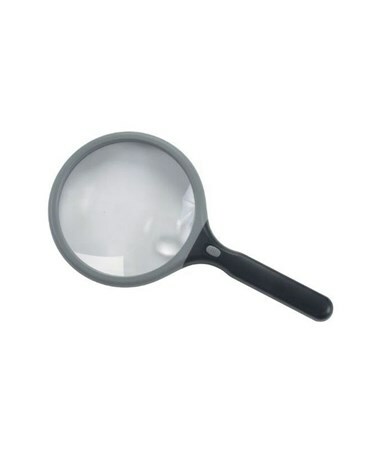 Ideal for readers and crafters, this lighted magnifier comes with an easy-to-grip handle. The UltraOptix 2x/6x Lighted Magnifier requires two AAA batteries (not included in this package) for the lighting to operate. It comes in a blister card and is suppported by a limited lifetime warranty.